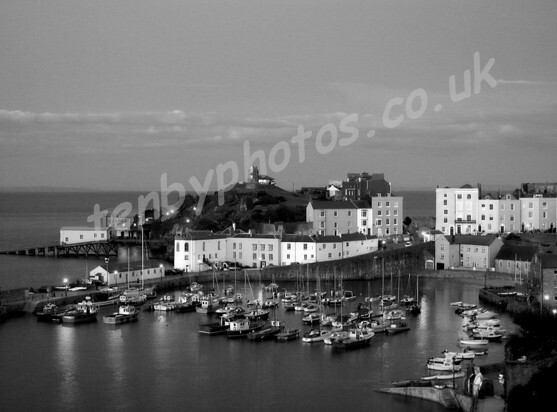 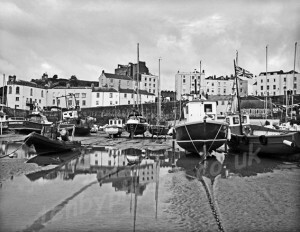 Tenby Harbour . 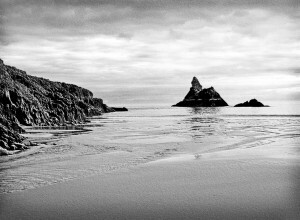 Sunlight .Mono. consequence of the blood shed on that day. 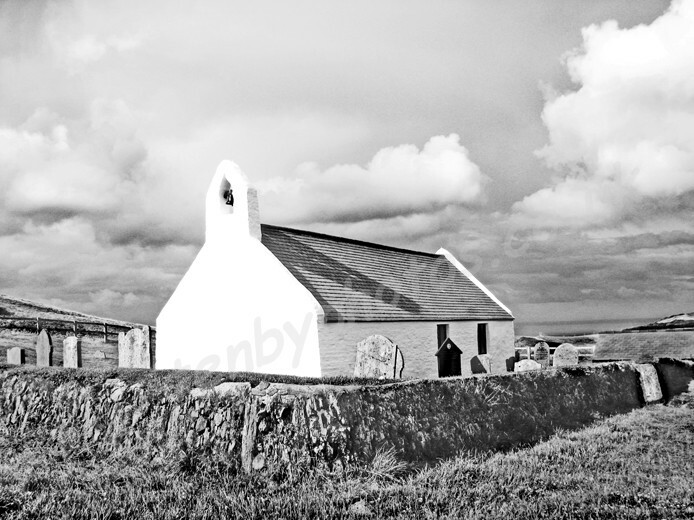 uncovered by windy conditions in the early 20th century. 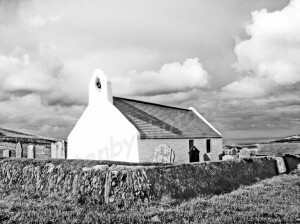 The Church of the Holy Cross (Eglwys y Grog) is an example of a Medieval Sailor’s Chapel of Ease. 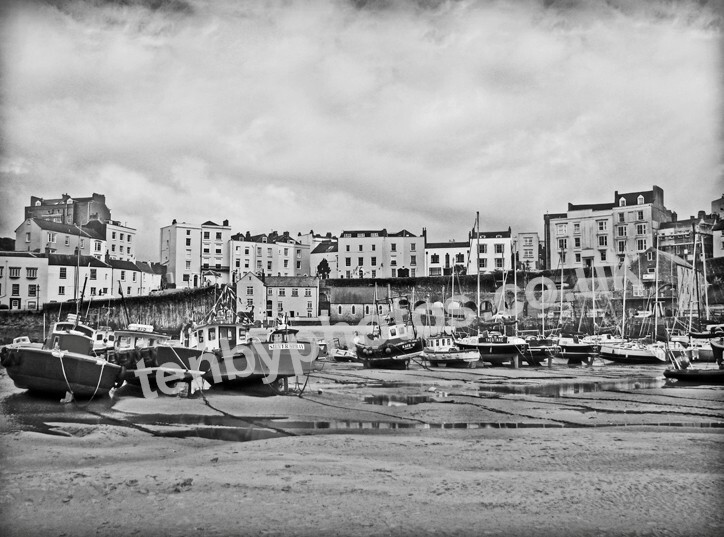 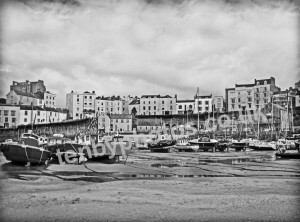 Seaside Resort in Black and White.